Kevin Burton describes a recent conference on military service that was hosted by the General Conference of Seventh-day Adventists. He highlights a new book on the topic—Adventists and Military Service: Biblical, Historical, and Ethical Perspectives (Frank Hasel, Barna Magyarosi and Stefan Höschele, eds.). Kevin Burton earned an M.A. in Religion from Andrews University, and he is currently pursuing a Ph.D. in American Religious History at Florida State University. This interview is a companion to a news piece that Kevin wrote for Adventist Today, so we wanted to get the conversation out as quickly as possible. This meant we had to make time for the conversation right where we were, which was not a recording studio. More on that as the audio rolls. And the final point I want to note is our podcast’s three-year anniversary. 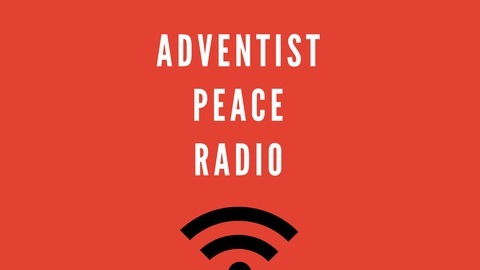 We started the Adventist Peace Radio podcast in April 2016, so I want to take a brief moment to celebrate this milestone and to thank each of you who has shared the journey. A big thanks to you for listening and sharing, and I invite you to stay with us as we explore more ideas and meet more peacemakers in the years ahead…. Adventists and Military Service: Biblical, Historical, and Ethical Perspectives (Frank Hasel, Barna Magyarosi and Stefan Höschele). 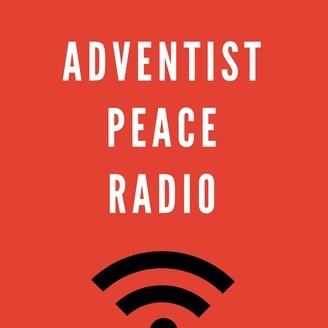 Thank you, listeners, for joining us for this episode of Adventist Peace Radio. If you appreciated this conversation with Kevin Burton and Lisa Diller, please share it with others. We rely on you, our faithful listeners, to spread the word, sharing on social media and in person. DONATIONS: We also welcome your donations to support future episodes of Adventist Peace Radio. You can contribute online at AdventistPeace.org/donate. MUSIC: Our theme music is “Green Fields” by Scott Holmes, which is available at the Free Music Archive. DISCLAIMER: The Adventist Peace Fellowship is an independent 501(c)(3) non-profit organization that supports work for peacemaking and social justice building upon the values of the Seventh-day Adventist tradition. We are not part of, affiliated with, or supported by the General Conference of Seventh-day Adventists or any affiliates known as the Seventh-day Adventist Church. Any content, opinions, statements, products or services offered by Adventist Peace Fellowship, are solely those of our organization, and not those of the Seventh-day Adventist Church.